JOES Bearing Style A-Arms are the latest rage. 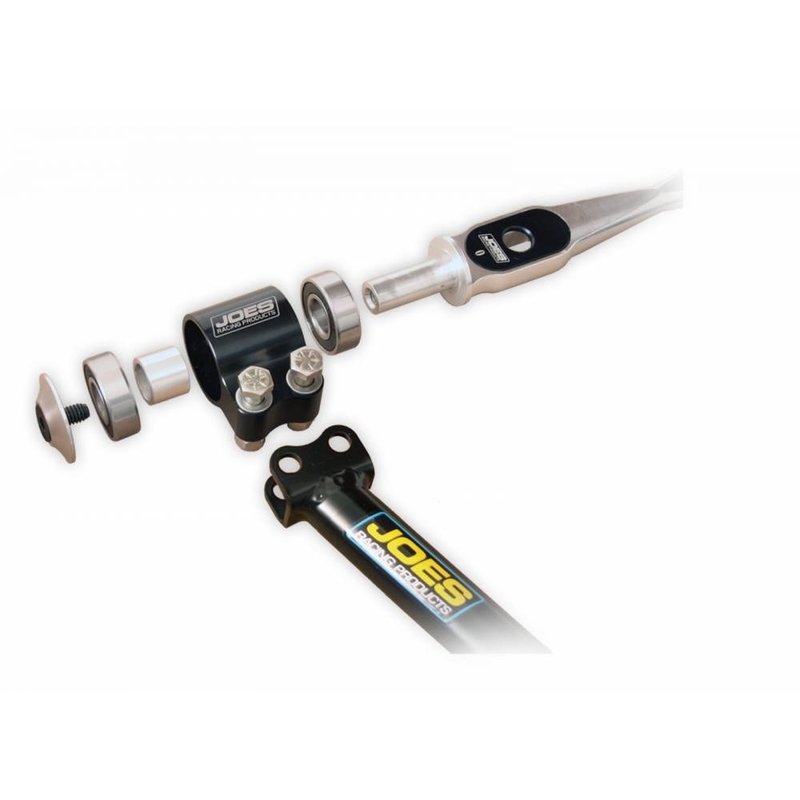 The bolt on arm section lets you carry additional lengths for use with just one shaft. 4 sealed roller bearings eliminate nearly all resistance for rotating action that is incredibly smooth. The split design works perfectly for cars where the A-Arm needs to wrap around the frame mount. 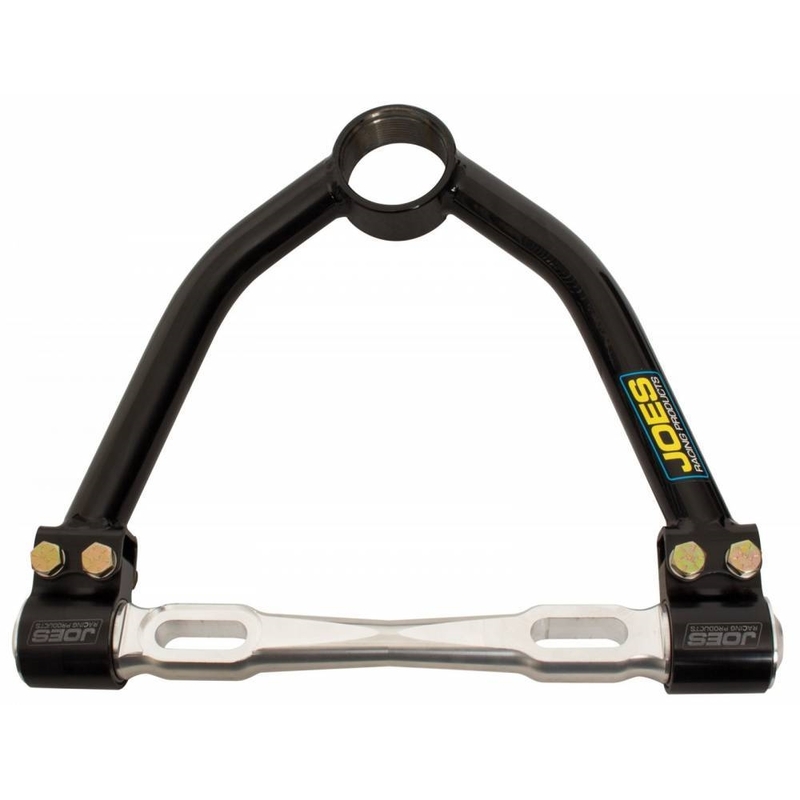 The JOES design is more rigid than competing models that flex creating unwanted variables in your suspension. Available with steel or aluminum cross shafts and straight, 10 degree or 20 degree screw-in ball joint sleeve. Bolt-in ball joint is also available. Derek Rogers, Shinnston, WV: My brother and I race dirt late models around the east coast. I just wanted to say thank you for building such user friendly, dependable products for these cars. 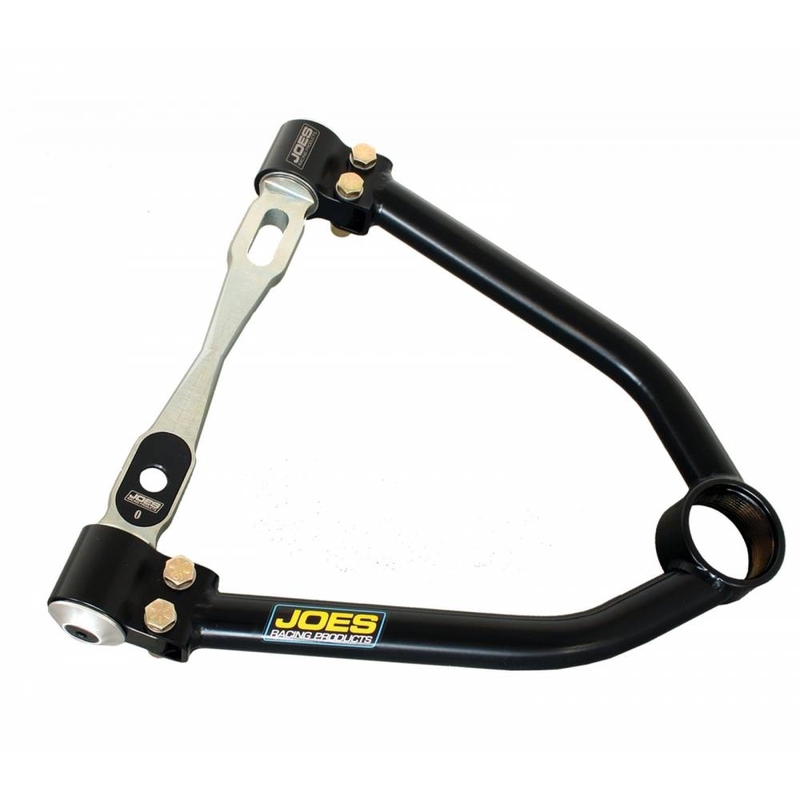 We use multiple Joe’s parts such as upper control arms, rack spacers, and dust covers. Your bolt together design for uppers have save us a lot of time and headaches. We will be attending the PRI show and will be sure to stop by and discuss some more of your products. Thank you again for such a great product! !